Suffering from minor skin irritations, bug bites or sunburn? Get fast acting pain and itch relief with Gold Bond Itch Relief Cream and Lotion. Discover helpful tips for diabetic dry skin on the feet. Learn about symptoms, causes, and treatment from Gold Bond: Diabetic’s Dry Skin Relief Foot Cream. Discover helpful tips to relieve dry, problem skin. Learn about symptoms, causes, and how Gold Bond Ultimate can provide relief of dry skin. 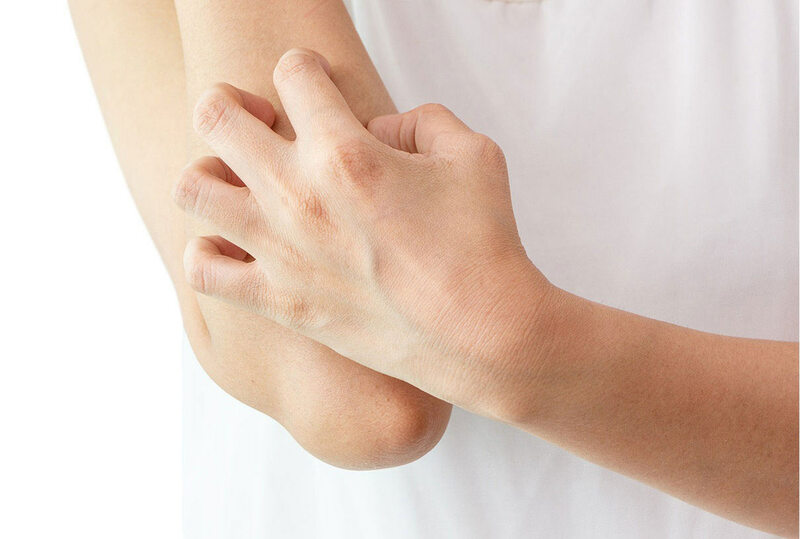 Eczema is a chronic inflammatory skin condition that can develop anywhere on the skin. It’s characterized by dry skin (mild to severe) with recurring red and extremely itchy patches. Although no cure exists, you can effectively manage the condition with proper care and treatment.